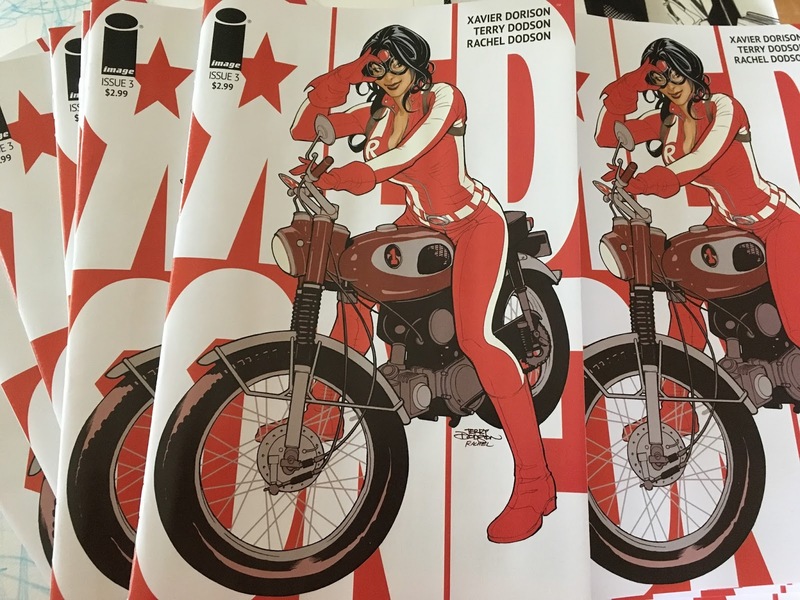 RED ONE #3 is out in stores September 7th from Image Comics. 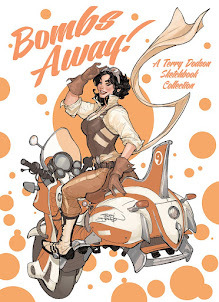 30 pages of full color comic story for $2.99! 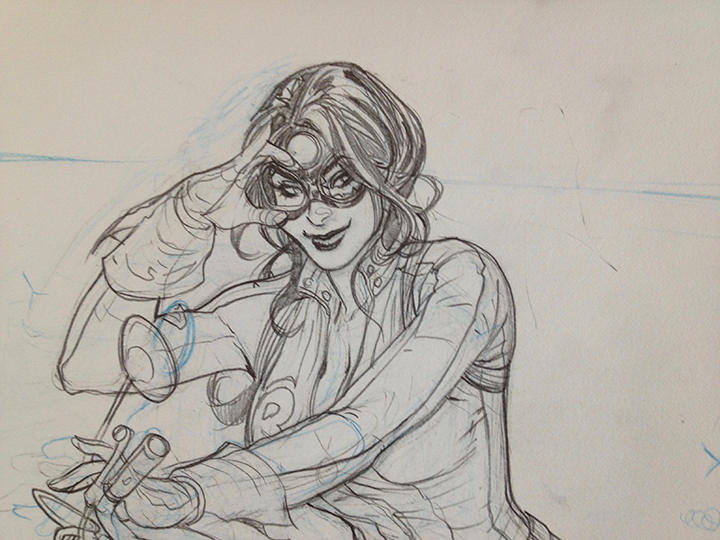 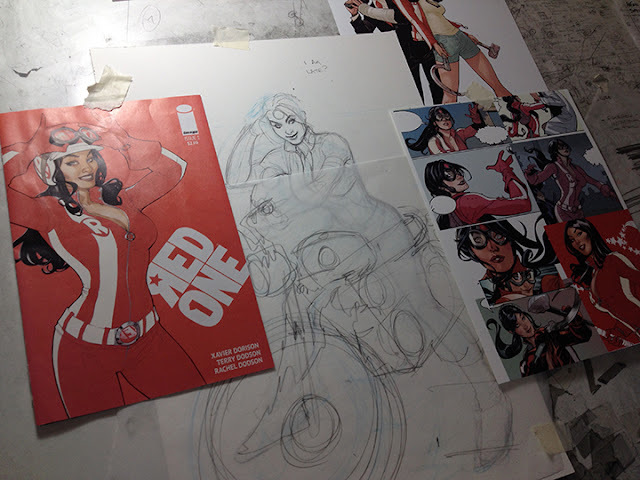 Here's a look behind making the cover of RED ONE #3! 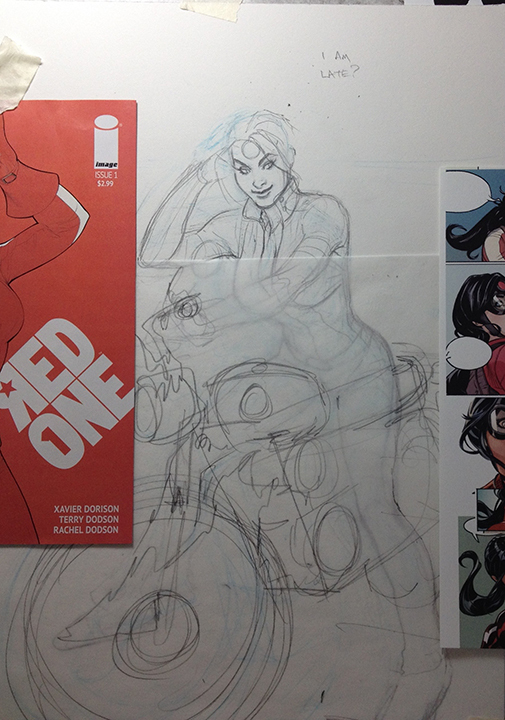 What my desk looked like for drawing the RED ONE #3 cover. 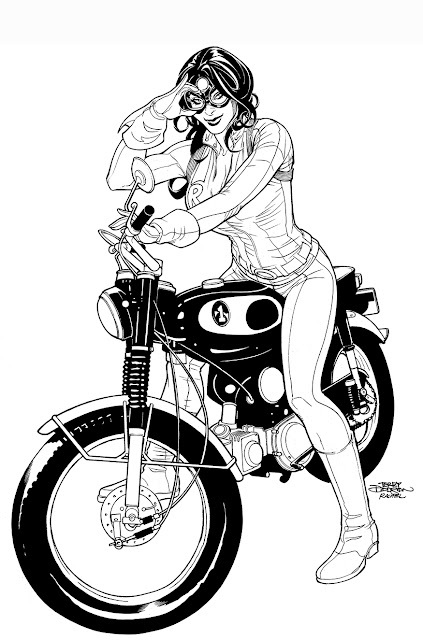 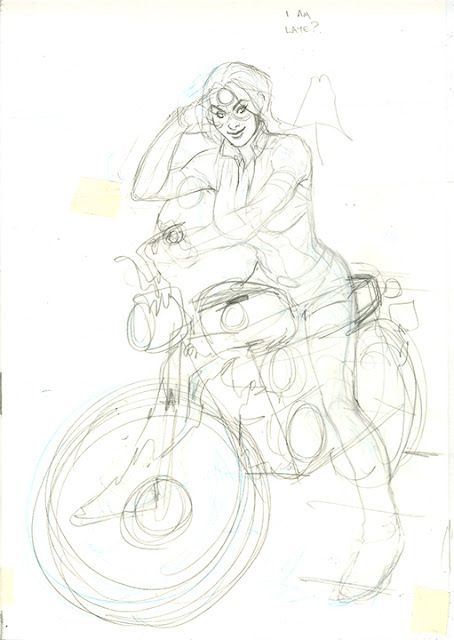 I roughed in the motorcycle in on tracing paper. 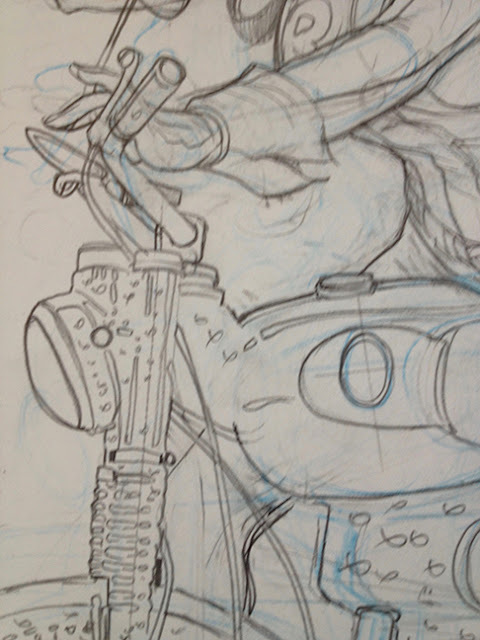 At this point I scan in to look at the drawing for errors on the computer. 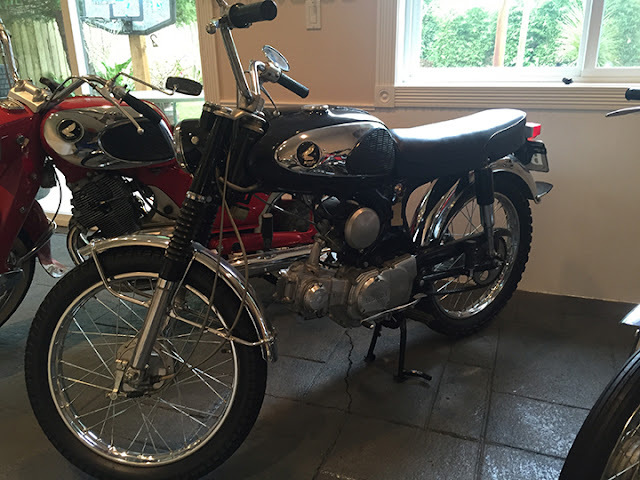 I had Rachel take photos of a 1969 Honda R90 motorcycle. 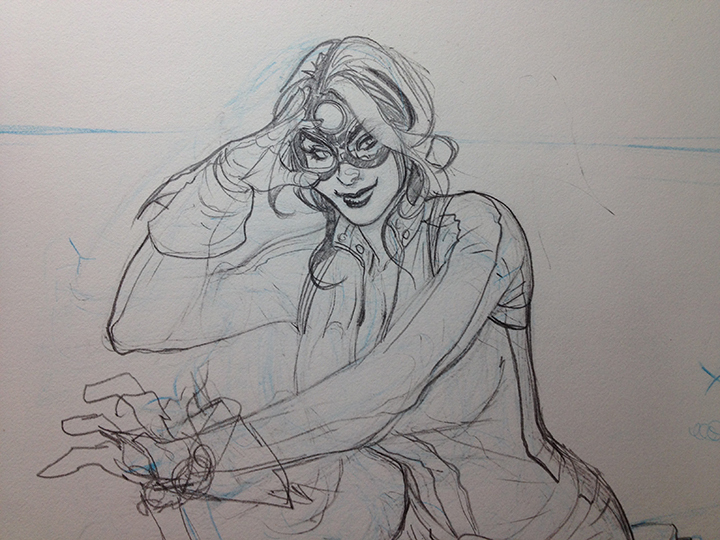 Going to finishes on hair and mask and working my way down the illustration. 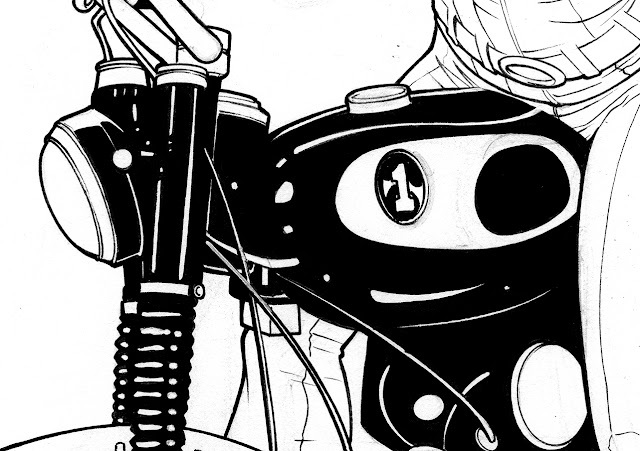 You see all that redraw on the motorcycle? 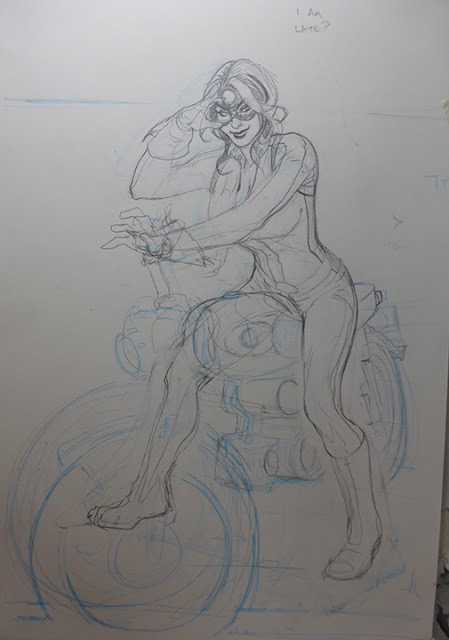 It turns out the motorcycles I typically draw for Vera are bigger 250cc bikes and I kept trying to make my photo ref of the 90cc moto work and beefing up the engine, etc. 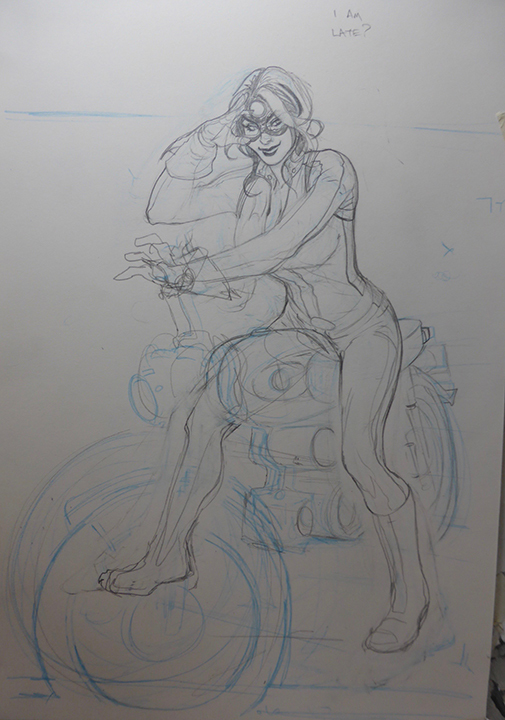 I couldn't understand why I was having so tough a time drawing ... wrong ref! 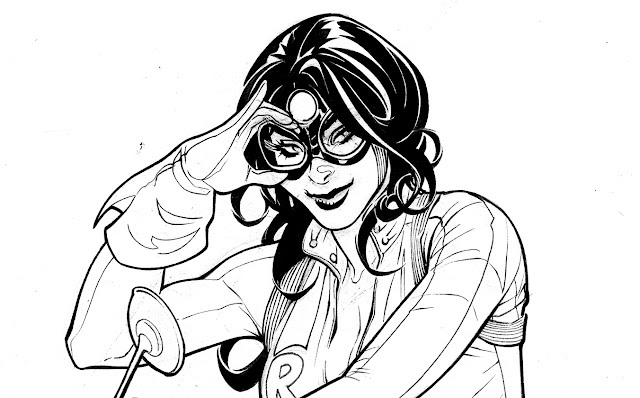 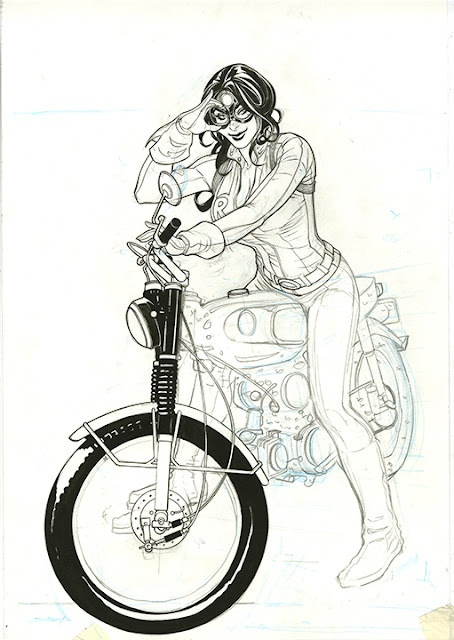 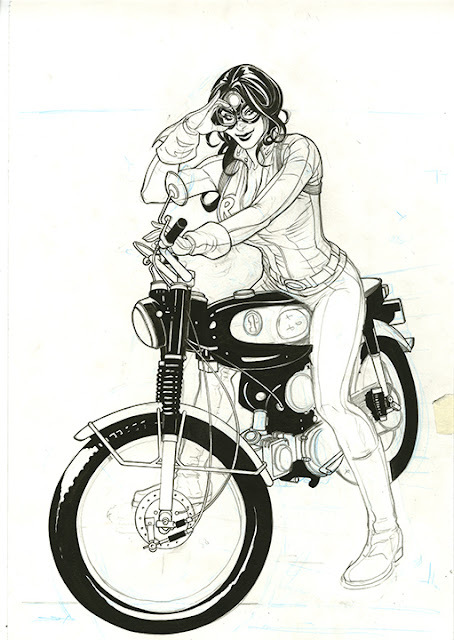 Here's Rachel Dodson's initial inks. 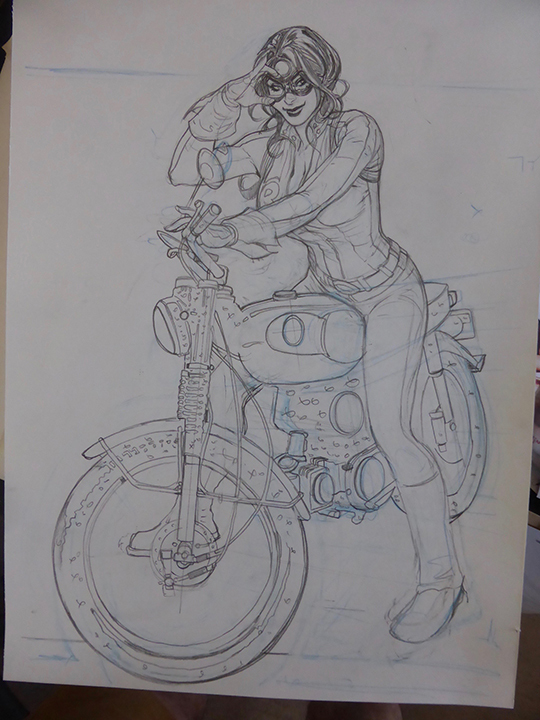 On one of Rachel's breaks I finished up the leg details. Loved seeing this, Awesome to see process! Thanks for posting it. Thanks, John - you bet!